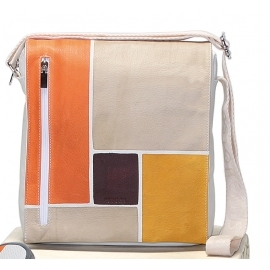 Natural leather handbag, unisex, hand painted. 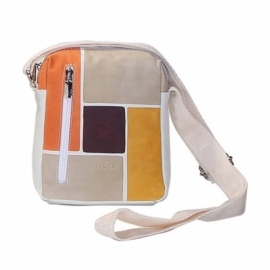 Practical and casual, it's especially suitable for men. All handbags can be purchased with matching shoes, wallet, belt and other accessories. 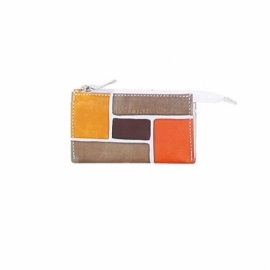 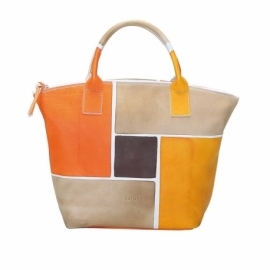 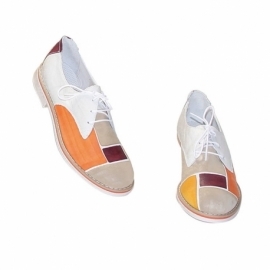 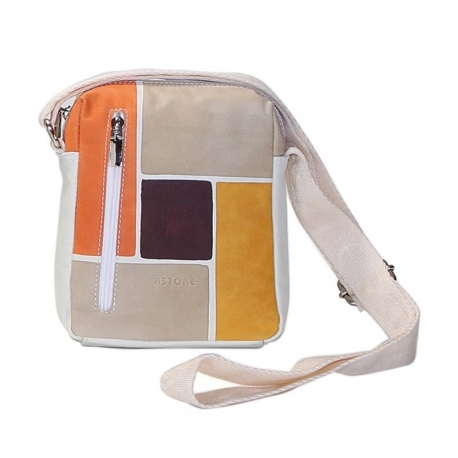 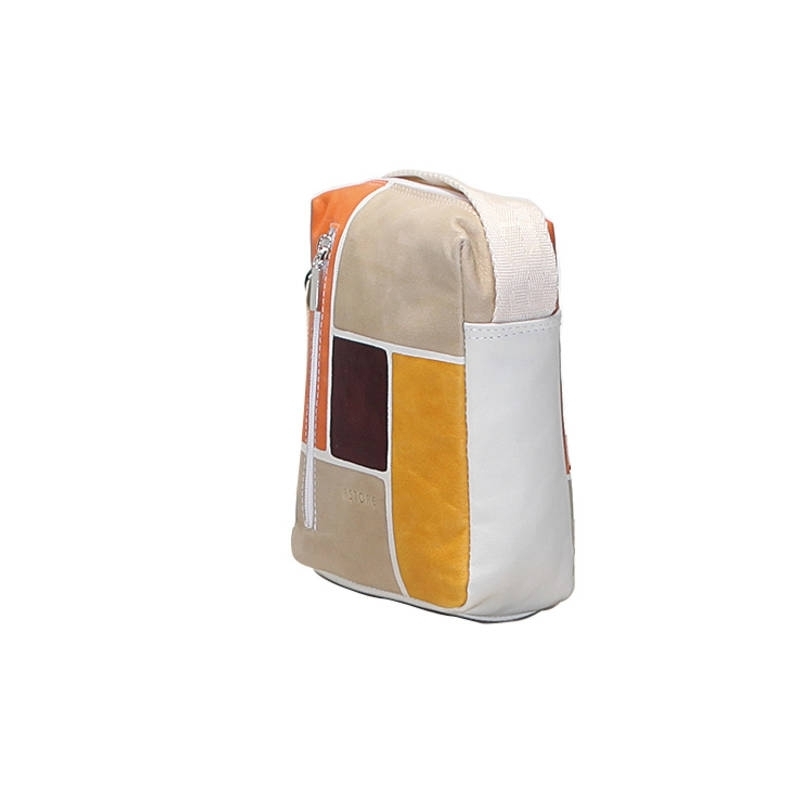 Colors orange, yellow, dark violet and beige on white background and pattern geometrical.